This intricate pattern will be a wonderful addition to any crochet project requiring edging or a shape composed of lobed sections. Try it in a blanket, throw or afghan. With a bit of craft, this will also be good for placemats and doilies. Give this beautiful stitch a try. We’re sure you will be very pleased with the results. For more free designs every day follow us on Facebook. Link to that pattern is below. 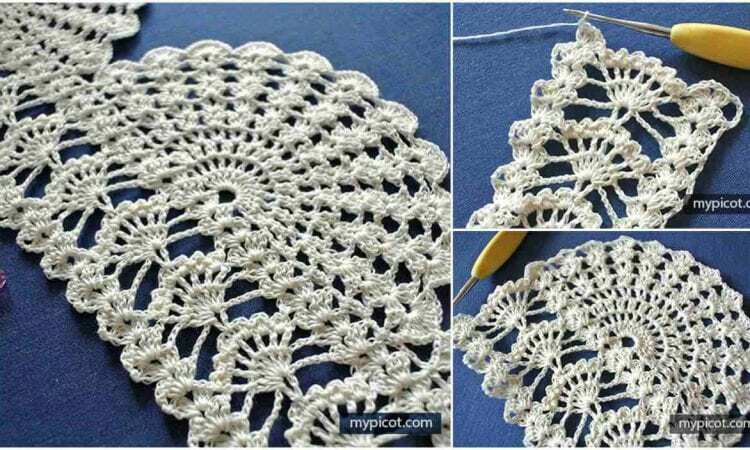 Mikado Fan Lace – Free Crochet Pattern is >>here< .